Though Concerned Women for America is a non-partisan organization, we are often asked to speak at partisan events, as was in this case with chapter leader Arlene Markell. Make a Big Difference in Arkansas in 2017! It’s Easier Than You Think. Greetings Concerned Women for America of Arkansas friends! My name is Lynda Fulmer, I am the Concerned Women for America (CWA) of Arkansas Prayer/Action Chapter Leader of the Fort Smith area. I have lead the Fort Smith chapter for over three years now and have found it to be one of the top joys of my life as together we learn about the issues, pray and take action. We have had an impact in our local area to the glory of God. I am writing to you today to consider how you, as I have, can follow one of the two greatest commands of our Lord Jesus Christ, by loving your neighbor as yourself through the ministry of CWA of Arkansas. Think about it, what does it mean to be a Christian? It means, of course, to love God with all your heart and love your neighbor as yourself (Matthew 22:36-40). In church, Women’s Bible studies and through Christian books, we often take in information about loving God. This is wonderful, and it should be our #1 priority, but let me talk to you right now about #2, how you can love your neighbor through the ministry of CWA of Arkansas. 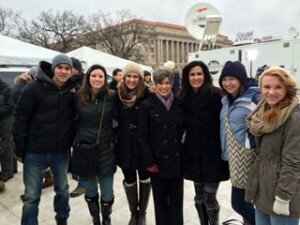 Consider making a difference in the lives of others in 2017 on the issues that are important to you – sanctity of life, defense of the family, education, religious liberty, sexual exploitation, support for Israel, and national sovereignty. Every one of these issues affects the life, liberty and happiness of our neighbor. Join the team; we’ll do it together. You are needed! Here are a handful of opportunities for involvement. Whether you have a lot of time or just a little, there is a place for you. Prayerfully read through this list. Continue responding to CWA e-alerts and forward them on to like-minded friends, family and pastors. It is your prayers and action that make all the difference. If you live in the Fort Smith area, attend our next meeting. We would love to have you! We meet on the third Tuesday of every month at 7:00 p.m. Contact me through the information below for more information. Consider being a Prayer/Action Chapter Leader. A Prayer/Action Chapter Leader plans and oversees monthly Prayer/Action Chapter meetings in a church, neighborhood or community. The emphasis is threefold: pray, educate and act. Each new leader receives a manual and over-the-phone training. Plus, CWA provides a monthly Prayer/Action Newsletter that includes an inspirational piece, legislative updates, action items, prayer, and praises. The newsletter is designed for use as a guide for the monthly meetings. Partner with CWA of Arkansas by giving a tax-deductible gift towards the work of CWA of Arkansas. We are run by all volunteers. Therefore, all contributions go straight to the work at hand within the state. Any amount is appreciated. Contribute online or send a check to the national office at Concerned Women for America, P.O. Box 34300, Washington, D.C. 20043. Write the check out to “Concerned Women for America.” Be sure to put “CWA of Arkansas” on the memo line and include a note that says you would like the funds to be applied to the work of CWA of Arkansas. The mindset used to be: “Is it okay for Christians to be involved in public policy?” The question now should be: “Is okay for Christians not to be involved in public policy?” If we don’t as believers, who will? Cultivating a Culture of Life … Coast-to-Coast! 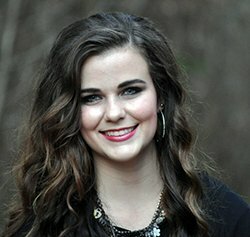 Growing up in a small, southern Arkansas “Bible Belt” town, my political and religious beliefs did not need to be explained, and no one ever challenged them, since most of the town was of the same opinions as I. After graduating from high school, I decided to attend Lyon College in Batesville, Arkansas. This college is a private, liberal arts college that is liberal in every sense of the word. Though it is in the middle of a conservative town, there are very few religious and conservative groups on campus. I felt intimidated, as if I could not speak out about my beliefs on campus without receiving contemptuous reactions. I then joined a sorority and felt as if my voice was being smothered even more. I was miserable, and I knew that God had different plans for me. He had made it possible for me to attend this amazing college; so what was His plan? This past summer, I found myself preparing to travel to Washington, D.C., to intern at a pro-life organization. Before I had even made it into D.C., God was working. When I stopped in a store in Fairfax, Virginia, the owner of the store asked if I was a Christian and told me that he was sure God had great plans for me this summer. He didn’t know me at all, and he had not talked to me more than five minutes when he made that statement. I knew then that it was by God’s grace I was able to take this trip and that He had a plan for my future. Unbeknownst to me, the store owner was completely right about how great God’s plan for me was and is. Two weeks into my internship, I met my mentor, who was assigned to me through the internship program. She worked for Concerned Women for America (CWA), but we had not talked enough for me to know much about their special projects. Within the third week of my internship, another young woman I worked with was talking about Young Women for America (a special project of CWA). She invited me to a lunch with some of the women who worked there to learn more about it. I loved the whole aspect of standing up for my Christian beliefs while also dealing with public policy and the government. By my fourth week of interning, I decided I wanted to commit to this decision to be a part of Young Women for America by taking it back to my college in Arkansas. Young Women for America has given me new hopes and new goals. After committing to the organization, I dropped my sorority letters. This was the hardest thing that I have ever done, but after talking with God, my family, friends, and mentor, I knew it was the right thing. I now have an executive board of six great girls who are extremely passionate about this organization. I have turned into a young woman who does not sit back anymore when someone challenges my beliefs. Young Women for America has helped me grow as a person and as a Christian. Because of the lovely women at the CWA headquarters and throughout the nation who have the same passion as I do, I now have the strength and courage to make positive changes on my campus and in my state. CWA’s Communication’s Director, Alison Howard, to Speak at Arkansas State University this Thursday, August 15! Do you, or someone you know live in or near Jonesboro, Arkansas? This is an event you won’t want to miss! Americans for Prosperity Foundation is hosting an event titled, “Ladies and Obamacare: Lighting the Way for Arkansas’ Future.” The event is designed to further educate women about the effects of Obamacare on their families and businesses. 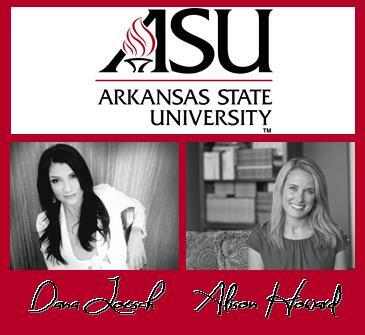 Dana Loesch from the Blaze TV has been confirmed as the keynote speaker and CWA’s Communication’s Director, Alison Howard, will be representing CWA as a guest speaker as well. Click here for more information or to register for the event! Please pass this on to those you know in the Jonesboro area. Please pray for Alison as she prepares to represent CWA in Arkansas!